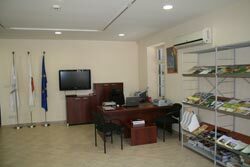 The Europe Direct Larnaca Information Centre (The Centre) connects its central office directly and rapidly with the European Union. It is integrated in a network which numbers more than 400 centres in 28 member-states and Representation of the European Commission in Cyprus. To inform citizens on matters of European interest both reliably and precisely. To provide information on dealing with practical issues concerning citizens and which arise from their actions in European Union Countries. Among the Centre’s competence is to hold events and lectures which will aim at informing citizens on European Issues. 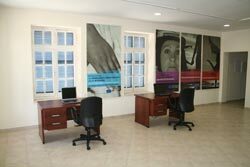 The Centre maintains a wealth of material which can be distributed to the public and which is sent by the European Union.